1 oz. $1.99 1 oz. 1.99 Kava Points. 2 oz. $2.99 2 oz. 2.99 Kava Points. This organic, rice-based Kava Blender powder is the NEW natural additive to all of your kava extractions! Most of us who are familiar with Kava extractions are used to adding soy lecithin to them if we want to give them an extra “kick.” Whether it’s the granules or the goopy liquid with soy lecithin, our entire staff has made the switch to the Kava Blender. This all-organic, rice-based powder does the same thing that soy lecithin does, but without the soy. What exactly is it? In short; it’s an all-natural Kavalactone emulsifier. Emulsifiers allow Kavalactones to extract into and suspend in water. What this means for you is a stronger Kava supplement, simply by adding a couple of teaspoons of this product per serving of Kava. It works equally well with instant kava mix as well as our powdered root. 1 teaspoon per serving is all that’s needed. 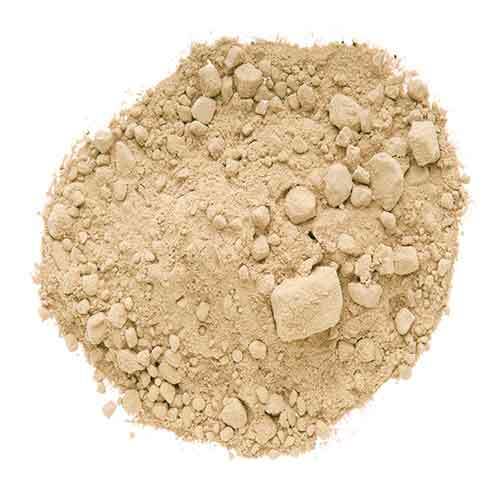 In fact, our Kava Blender is so effective, that all of our products now use this as an additive rather than the soy lecithin that we’ve used for years. Not only has it made for a better product, we are proud to offer something so effective and so unique when it comes to learning how to Make Strong Kava. Although we don’t feel that stronger Kava is always better Kava, if you are interested in adding a little extra punch to your Kava experience, this is definitely the #1 choice for making that happen. It will maximize the Kavalactones you pull from whatever you’re trying to extract, and whether it’s into a milk-based product such as soy, almond, coconut or cow. And, it definitely increased the effectiveness of water-based extractions as well. 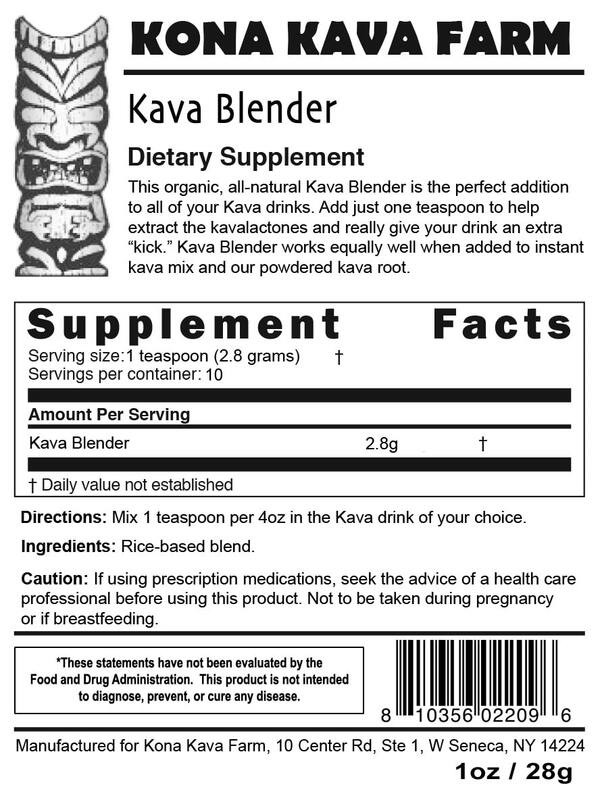 Directions: Mix 1 teaspoon per 4oz in the Kava drink of your choice. This blender seems to really work well for me. I’ve only had kava before with no blender before so I can’t compare it soy lecithin. When adding this blender to my kava it does seem to give it an extra kick. I would recommend trying it for yourself to see if you like as much as I do. How much do you add? I’ve used soy lecithin but its a mess! The kava blender is a rice-based alternative to soy lecithin and it helps to draw kavalactones out from kava powder and into your drink. A single teaspoon of kava blender is all you need. You can add it to your water + kava powder prior to blending and straining. Must have for any kava lover! This product is much better than the soy lecithin that is used to increase the potency of your kava drinks. I found the soy lecithin to be gummy, and difficult to handle, and it would get stuck in the packaging a lot. A fair amount went to waste and I was quite upset. Then I was shopping one day on the site, and came across this. It’s a fine powder that mixes WAY easier than the soy lecithin. I must say the ease of use, and increased potency of my drinks are phenomenal! I would recommend this to any level of kava user who is looking for more of a kick from their kava products! We’re thrilled that you found your way to the Kava Blender! I see that you’ve tried both the Soy Lecithin and the Kava Blender, and we couldn’t agree with you more. As a special thanks for you trying both, we’re sending off a package of Kava Blender to replace your Soy Lecithin.